4 YRS Yiwu Duocan Commodity Co., Ltd. Along with our designing and engineer team,we can create and help solving design and process related problems. Our company follows all international standards trading rules and requirements. Know more about details and want to get a cheapest price, please contact Mr.
From appetizers to desserts - add decoration as well as organization to easily serve your guests. Q3:Can I get a lower price if I order large quantities9 Yes , more quantity, lower price. We can negotiate the shipment according to the quantity of order and the progress of production. 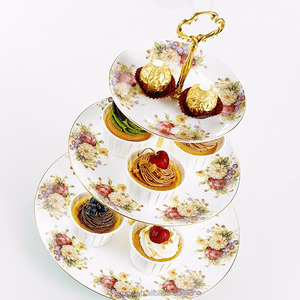 Let your cupcakes sit elegantly on this round, crystal clear cake stand. What's more the stand can be easily adjusted to suit your cake quantity. 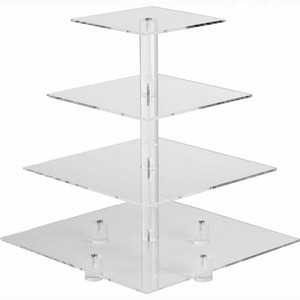 Can be easily assembled and disassembled for convenient cleaning and storage. The products making are depend on your requirements ( color, size and material, etc). Our engineer will choose right material according to your products weight and usage. Would you please tell us the visiting time before you come, we&rsquo;ll guide for you. 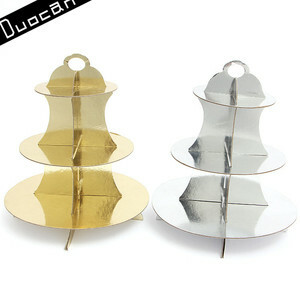 Product description Product name Fancy design cake holder white metal wire 3 tier cupcake stand for wedding party Size 310*310*355mm Surface Powder coated Material Metal Color White, black, silver or customized as your needs Application Every party, Festival and home decoration Term of payment Trade Assurance, T/T , Paypal, western union, L/C at sight, etc Packing Each in color box Sample Free sample, can send within 7 days Lead time 4-5 weeks after deposit confirmed Detailed Image SHOW CASE Choose us, choose quality life. Related Products YZ1808 Size: 250*150mm Material:iron(powder coated) price:$3~5 YZ1134 Size: 260*160mm Material:iron(powder coated) price:$5~10 YZ1805 Size: 240*310 mm Material:iron(powder coated) Price: $5.5~11 YZ1824 Size:310*310*355mm Material:iron(powder coated) Price:$5~10 YZ1810 Size:82*29mm Material: iron(powder coated) Price:$1~5 YZ1813 Size:75*175mm Material: iron( powder coated) Pric: $ 1~5 Usage&Occasion Wide range of occasion: Wedding Home Afternoon tea Annual Meeting Business party More Usages: You can put more than cake upon the stands, like candies,fruits,nuts ,snacks or even more creative usages. Product Package Every product is with a high-quality polybag,then put into a color box. 4 YRS Jiangxi Xietai Printing Co., Ltd.
Each stand comes with a bonus tote bag for convenient and safe carrying. 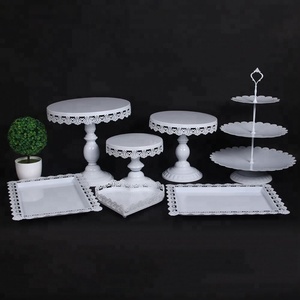 Use as a cupcake stand, dessert stand or serve for fruit and other sweet treat. Every part of the stand has been accurately cut and finished. Advantages Professional supplier specialized in Home organizer , Stationery. A cup of coffee tea and enjoy the views of the city, will enable you to spend a romantic in leisure time. Usage & Occasion Wide range of occasion: wedding home afternoon tea any kinds of parties annual meeting business party . The edges of the acrylic are perfectly clear and polished. Every part of the stand has been accurately cut and finished. 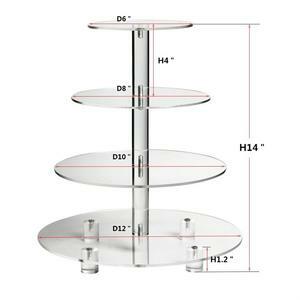 is a professional manufacturer of plastic and metal display stands. 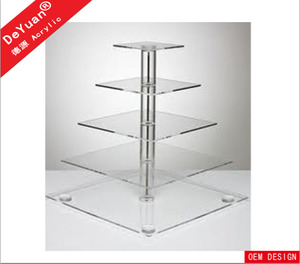 Alibaba.com offers 4,355 tiered cupcake stands products. About 51% of these are cake tools, 24% are display racks, and 9% are event & party supplies. 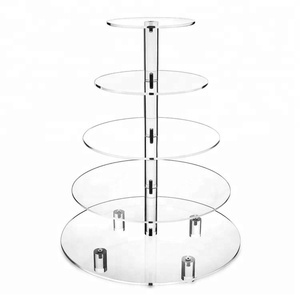 A wide variety of tiered cupcake stands options are available to you, such as cake tools, event & party supplies. You can also choose from ce / eu, sgs, and fda. As well as from eco-friendly, disposable, and stocked. 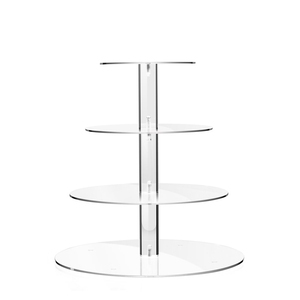 And whether tiered cupcake stands is metal, plastic, or ceramic. 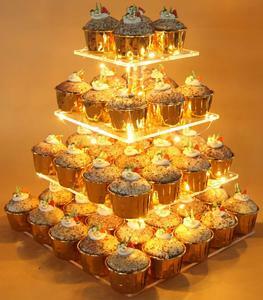 There are 4,355 tiered cupcake stands suppliers, mainly located in Asia. The top supplying country is China (Mainland), which supply 100% of tiered cupcake stands respectively. 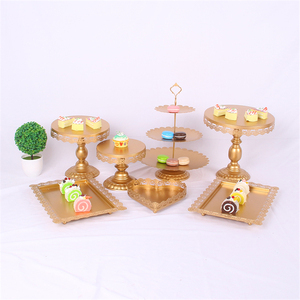 Tiered cupcake stands products are most popular in North America, Domestic Market, and Western Europe. You can ensure product safety by selecting from certified suppliers, including 439 with Other, 283 with ISO9001, and 81 with BSCI certification.